This slim work is the best book I have read since May 2014. 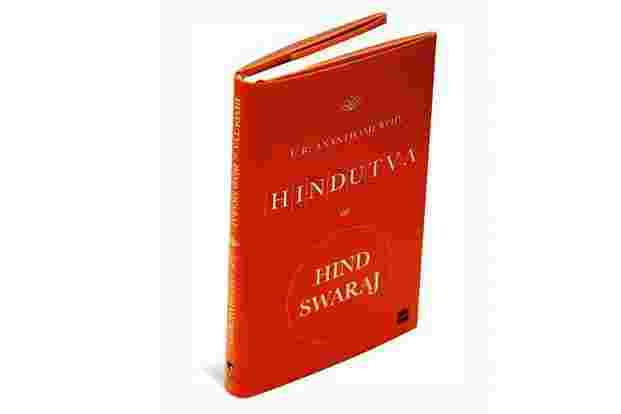 Hindutva Or Hind Swaraj by U.R. Ananthamurthy is a response to Hindutva, and to our increasing nationalism, which this remarkable author anticipated. Like two other slim and rich texts, Aristotle’s Poetics and B.R. Ambedkar’s Annihilation Of Caste, there is enough material here to keep one occupied for years. It is the distilled effort of a lifetime spent in absorbing, reading, writing and observing. Ananthamurthy died in August 2014 and says in the book that “this writing, born in the current Modi era, should be viewed as an attempt to swim against the tide". He meditates on two texts here, Vinayak Damodar Savarkar’s Hindutva and Mohandas K. Gandhi’s Hind Swaraj, and we’ll get there in a bit. This meditation comes to us, for those unfamiliar with him, from one of our finest public intellectuals, who was genuinely bilingual (his PhD was, if I remember it right, on freedom of expression in Germany between the wars) and phenomenally well-read. In a couple of paragraphs on the opening pages, Ananthamurthy refers to the dilemma of Job from the Old Testament; comparing it to that of Raja Harishchandra, he refers to Carl Jung and to Raskolnikov from Fyodor Dostoevsky’s Crime And Punishment. There is reference to W.H. Auden (he describes a poem, I think it is Aubade) a little further down. On the next page, he compares Manmohan Singh’s “gentle satvik face" with the “imperious rajasik face" of Modi, which is “in keeping with his kshatra traits". How can one resist such writing? This is pure gold. It becomes clear to us that Ananthamurthy was a Congress voter, but not out of real conviction. There can be no more devastating appraisal of its leader than these lines: “Rahul Gandhi, with his liberal European mindset and a half-baked cosmopolitanism, speaking some Hindi but better English could not weather the storm of Hindutva." Locating his problem with the Congress, Ananthamurthy says Modi “has become the true voice of the innate desire for development of the Congress, which is slightly embarrassed by memories of Gandhi". He still voted for the party for such initiatives as the right to information and the right to food, but I have not come across a sharper inspection of the Congress. During the Emergency, Ananthamurthy asks a friend from the Rashtriya Swayamsevak Sangh: “Why do you oppose Indira Gandhi? I just don’t understand it. She dismissed the DMK government that was inimical to the Aryans. She enforced family planning programmes on Muslims to prevent them from having too many children. She split Pakistan and facilitated the creation of Bangladesh. She got India the atom bomb. By annexing Sikkim, she expanded the country. She made sure trains ran on time. The idea of Savarkar’s India was reinforced through Indira Gandhi. Why then do you oppose her?" Clearly, his framing of our politics is more nuanced, more perceptive than our debates allow. Ananthamurthy attacks Hindutva for cleaving to an occidental nationalism that he finds offensive. He points out that “(Nathuram) Godse was a non-religious believer in the notion of Hindutva. This punyabhoomi, this sacred land, needs Hinduism only as an address. When he killed Gandhi, Godse may not have expected that this great nation, this Bharat would lose its diverse rituals, arts, dresses, cuisines, oils, cereals and become a cheap imitation of Western civilization." Ananthamurthy’s view on the damage caused by industrial development is touched with mysticism. Consider these lines: “For the hunger that comes from toil, the satisfaction after it is quenched, the simple pleasure that comes from the renewal of everyday tasks, for interaction with those who toil, kayaka is necessary. Machines should be the creation of man’s curiosity, an aid to his ability to work, and to increase the fruits of his labour. The yoke, the plough, the spinning wheel, the fuel-efficient clay oven, the tender mango pickle that retains juice in its stalk for several years, the bullock cart, the sewing machine, the steam engine, the bicycle, fire from flint, the paper kite that flies high into the sky, discovering that the inedible-looking dark-grained ragi is in fact the ultimate cereal, the medicinal plants that grow in the backyard—they were all the result of individual and collective effort. “The right of the poor who make soil and water yield food should not be taken away. Farmers’ lands should not be taken away for power generation plants, IT–BT enclaves, mining and five-star hotels. It is to the benevolence of Varuna, the god of water, that we owe the cultivation of food. Before agriculture, humans hunted to survive." This view is identical to Gandhi’s in Hind Swaraj. Ananthamurthy uses the phrasing “IT-BT" to show his contempt for the new Bangalore. It could be argued that Ananthamurthy’s view in this instance, like Gandhi’s, is reductive. The development versus nature binary rings false when he talks of “rivers diverted to fill the flush tanks of five-star hotels". Let us turn briefly to the texts referred to in the book’s title. In his foreword, Shiv Visvanathan frames it well: “Gandhi’s Hind Swaraj confronts Savarkar’s writings, and URA contends that Modi is only enacting the logic of a Savarkar script. Modi is thus not an original but merely a mimic, following the logic of a historical position. Ananthamurthy reads Modi as a giant clone, a copy of the original Veer Savarkar." This parsing of the texts is done with depth, originality and penetration. Ananthamurthy effortlessly links them to our times. He writes in favour of those our upper classes have contempt for: “Medha Patkar, the satyagrahi afflicted with acute back pain, and Aruna Roy, the Right to Information activist, who had tucked in their sari pallus for the big fight have not loosened it still. People like Teesta Setalvad continue to run from court to court seeking to uncover the truth. That they have not given up hope in the present scenario, as the Congress leaders have done, has prevented frustration and dejection from creeping into this writing." And though he died before our current inane Jawaharlal Nehru University debate began, Ananthamurthy, as has been mentioned before, anticipated it. He writes: “The patriot Gandhi, during his final fast, saw the growing hubris of nationalism in his beloved (Jawaharlal) Nehru and (Vallabhbhai) Patel. More on this later. An examination of how Napoleonism gives rise to the desire for nation building, evident in the histories of every country, allows us to understand why Gandhi and Tagore were opposed to the idea of nationhood. Our belief in nationalism leads to a loss of our everyday morality." Relentlessly didactic, he tells the reader it is important to have read Tagore’s Gora to understand his (Ananthamurthy’s) view of Hindutva and nationalism. In India: A Wounded Civilisation, V.S. Naipaul talks of encountering Ananthamurthy’s work Samskara and being entranced. The quality and lyricism of the original writing in Kannada can be glimpsed even in the translation, he wrote. It is true also for this work, originally in Kannada and very beautifully translated (I knew Ananthamurthy and I can hear his voice ringing from these pages). Even his throwaway lines are entertaining and didactic. He tells us that “born after three male children had died, Godse was brought up as a girl by his parents. Even his name ‘Nathuram’ meant one who wears a nose stud." Steeped in our traditions, Ananthamurthy captures the reality as nobody else can. Take this with you as you go: “How did Gujarat produce a pan-Indian hero? The Gujarat massacre took place when he was chief minister. To say that he tried to prevent it but failed would mean he was weak. Nobody can say that. One is reminded of an image used by the poet Adiga. When yajnas are conducted, everyone present is involved in some task or the other. But a mantrajnya, an expert in the mantras, does not participate. He is known as the ‘brahma’, and is crucial to the ritual. The brahma does nothing. “Modi was the brahma. Whatever happened has happened." For those troubled by Hindutva, by nationalism and by our monochromatic definition of development, this work will retain, like that pickled mango stalk, its juice for a long time. Aakar Patel is the executive director of Amnesty International India.